In the battle against fake news, Andreas Vlachos – a computer scientist living in England – is on the front lines. “I’m trying to channel my research,” he said, “into something that is useful for everyone who’s reading the news.”1 Combating fake news, finding a voice of authority we can depend on, is also useful for anyone trying to stay grounded amidst change that is unprecedented in speed and scope. Three professors at Beloit College provide a useful way to stay aware of the speed and scope of change when they publish their Mindset List each year. The list identifies cultural markers that help us understand each new class of college students. Here are some examples. For this year’s graduating class, GM refers not to an automaker but to food that is genetically modified. Gaga has never been baby talk. A tablet is no longer something you take in the morning. With GPS, they’ve never had to ask directions to someplace, just an address. Java has never been just a cup of coffee. And they’ve always been able to plug into a USB port. For this year’s freshmen, the U.S. has always been at war. They’ve never had to watch TV programs at a scheduled time. And if you want to reach them, you don’t call or send an email, you text them. For others, “good feedback” means getting thirty likes on your last Facebook post in a single afternoon. They don’t remember the Space Shuttle Challenger blowing up. Kansas, Boston, Chicago, America, and Alabama are all places, not music groups. Watergate is as relevant to their lives as the Teapot Dome scandal. And they have rarely mailed anything using a postage stamp. Now this is where I might tell a joke about the whiplash of change, except these examples themselves seem a kind of joke compared with other changes that sweep us along. There’s the dramatic change in our nation’s cultural and political climate and the significant threat to our nation’s healthcare and to our very democracy posed by the Republican administration in Washington, and there’s the continuing and now sharpened decline of the Christian church in the West, to name just two. Closer to home, the congregation I serve is preparing to welcome a new pastor after twenty years without a change, and after being in parish ministry for thirty-six years, I’m preparing to retire in a couple of months. Both of us face a degree of change we don’t have much experience with. How do we cope when the way of life we’ve known is passing away so quickly and what lies ahead seems so uncertain? For the first generation of Christians following the death and resurrection of Jesus, change could hardly have been deeper and more dramatic. With the fall of Jerusalem, their ancient cultural, political, and religious way of life fell apart. What would take its place, and how would they get through the transition and the uncertainty of what lay ahead? How will we? First, I think, we hold on to our relationships. One of the most important things the early Christians did in the midst of change was hold on to their place in community, with gratitude. “Day by day,” Luke tells us, “as they spent much time together . . . , they broke bread at home and ate their food with glad and generous hearts” (Acts 2:46). When facing a world where everything is changing, where the dependable landmarks disappear and leave darkness in their places, if we can hold on to the supportive relationships with the people who are close to us, people who support and nurture us, we can surely weather whatever storm may come. As Robert Fulghum wrote about the things he learned in kindergarten, “when you go out into the world, watch for traffic, hold hands, and stick together.”2 When faced with the kind of change we face today, we need to hold hands and stick together. We also need to trust our deep traditions. Expressions of faith like style of worship and church organization will change from generation to generation, appropriately so. But deep traditions of faith that have proven themselves over the centuries will endure – like corporate worship, small prayer and Bible study groups, service to others that aims to transform lives, and regular fellowship gatherings. Luke tells us that the early Christians, as they navigated the change of death and rebirth, “devoted themselves to the apostles’ teaching and fellowship, to the breaking of bread and the prayers” (Acts 2:42). And he tells us that “Awe came upon everyone” (v. 43). A lot of people are questioning tradition these days, and it’s never bad to ask questions. We also need to let our traditions question us, to recognize the authority our great traditions have to hold us accountable to something that doesn’t change with the morning headlines or the cut of next season’s fashion. 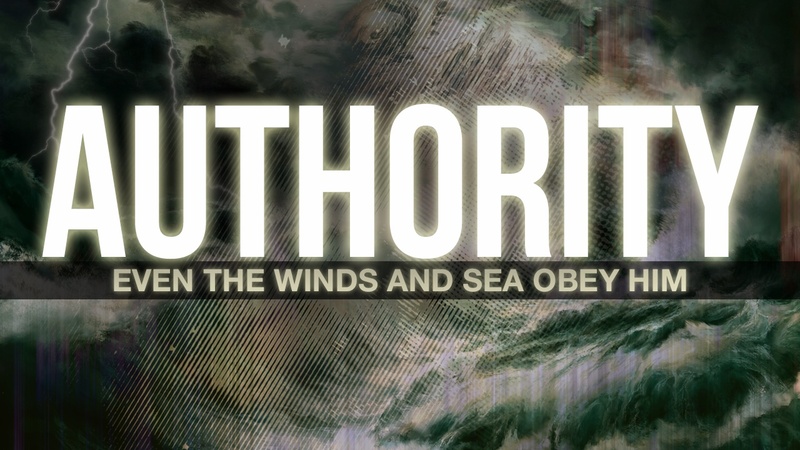 Especially in the midst of change, there will be many voices that would claim authority in our lives and bid us follow. They are voices that would steal our very souls. But there’s another voice. It’s a voice that resonates with us at a deep level and to which we respond at that same deep level, like sheep know and respond to the voice of their shepherd. It’s a voice that will nourish us in all our comings and goings and that will lead us to “have life, and have it abundantly” (John 10:10). You know that voice because it’s not the voice of a stranger, not a voice from “out there”; it’s a voice that comes from deep within the human heart (cf. Jer. 31:31-34), from the same place your true self comes from. When you tune the ear of your heart to it, you can hear it. And because it arises from within your heart, you will recognize it when it speaks to you from the hearts of others. In his day Jesus knew the competing voices that vied for the attention of his followers. The early church knew the voices of culture and tradition that competed for their attention. Most of those voices were the voices of thieves and bandits. But Jesus knew people could recognize the voice of true authority, the voice of authentic life, in the midst of their ordinary and extraordinary struggles. Today that voice still speaks to us, and we can distinguish it from the other voices that call to us. There are as many ways to listen for it as there are accents in which it speaks to us. And even when you strain to hear that voice and feel you don’t hear it, the desire to hear it is a sign that it’s already speaking to you. Give your full attention to the desire, and follow where it leads. You will go in and out into green pastures, and you will be well fed. Notes: 1. “In election season, tech vies to fight fake news,” The Buffalo News, 2 May 2017. 2. Robert Fulghum, All I Really Need to Know I Learned in Kindergarten: Uncommon Thoughts on Common Things.